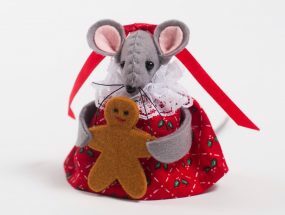 These adorable little handmade Festive Christmas Mice Tree Decorations are so lovely with their little fluffy hats and collars to keep them cosy on cold winters nights. 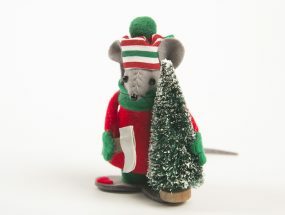 They have a little loop so they can either be hung on the tree or they can be sat on a shelf or mantelpiece. They come in a set of 2. 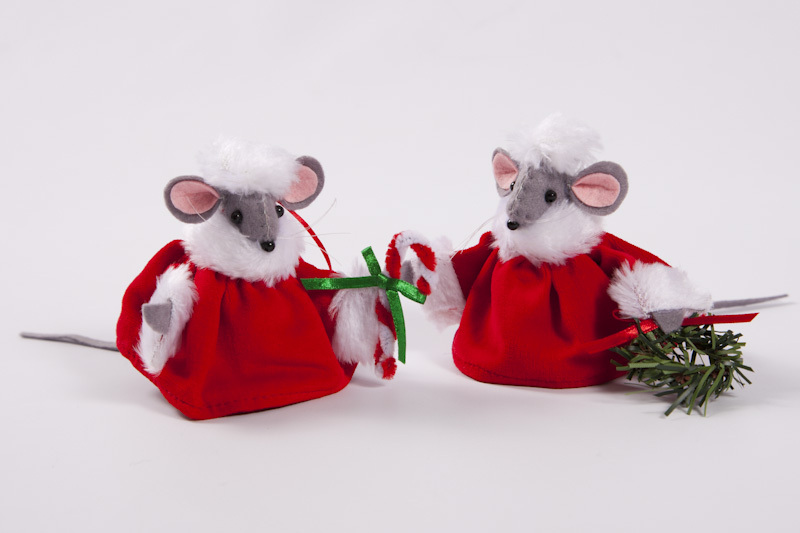 Dressed in bright red velveteen these Festive Christmas Mice Tree Decorations are a lovely addition to our festive mice range. 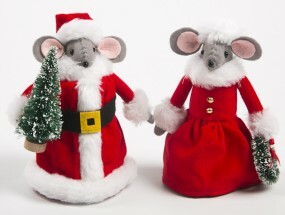 They come in a set of 2 and stand 8cm tall. One carried a wreath and the other a candy cane. 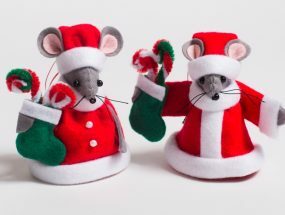 They can be hung on a tree or will happily sit on a flat surface.